Fond du Lac, Wisc. 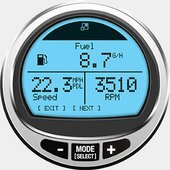 – The Rock Aqua Jays water ski team in Janesville, Wisconsin – with triple 300hp Mercury Racing outboards on the transom and help from two other ski teams – has established a Guinness World Record for the largest human pyramid on water skis. 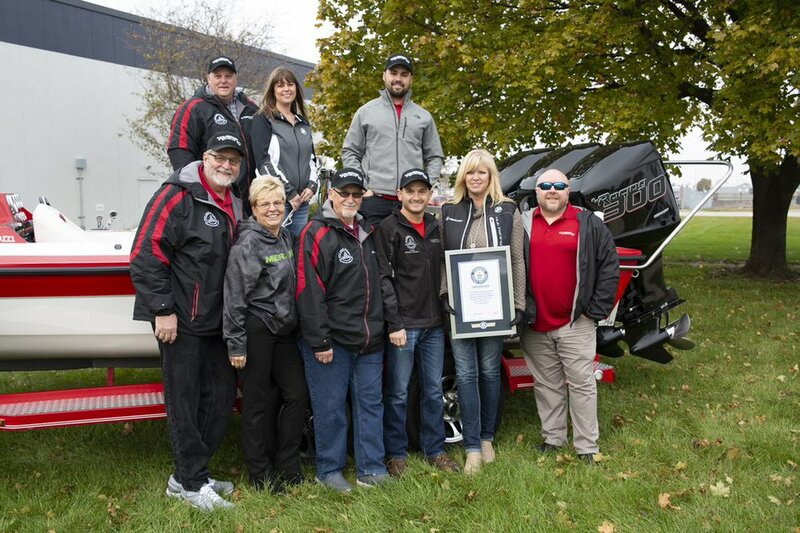 The team thanked Mercury Marine by giving the company a plaque with the award during a ceremony at Mercury’s global headquarters in Fond du Lac. A total of 80 skiers in multiple four-tier pyramids traveled 1,148 feet on the Rock River – about twice the distance necessary to officially surpass the previous 64-skier record. Joining the Rock Aqua Jays were skiers from the Aquanuts team from Twin Lakes, Wisconsin, and the Webfooters from Fremont, Wisconsin. A pair of tandem boats pulled the skiers from the dock area, but the lead boat released when they reached open water and the record run was accomplished behind a single boat. 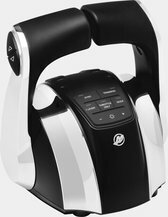 The outboards were equipped with Mercury four-blade 15-pitch Revolution 4 propellers. The skiers initially broke the existing record with a 70-skier pyramid, then added 10 more individuals on a subsequent run to establish the 80-skier record. 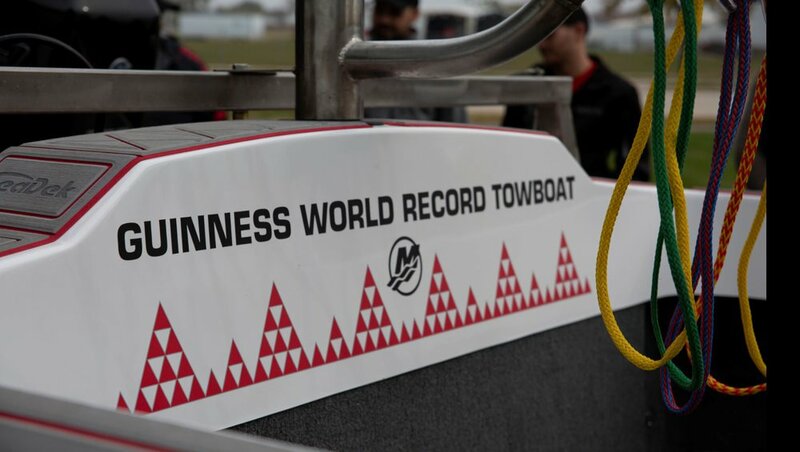 Guinness officially confirmed the record. 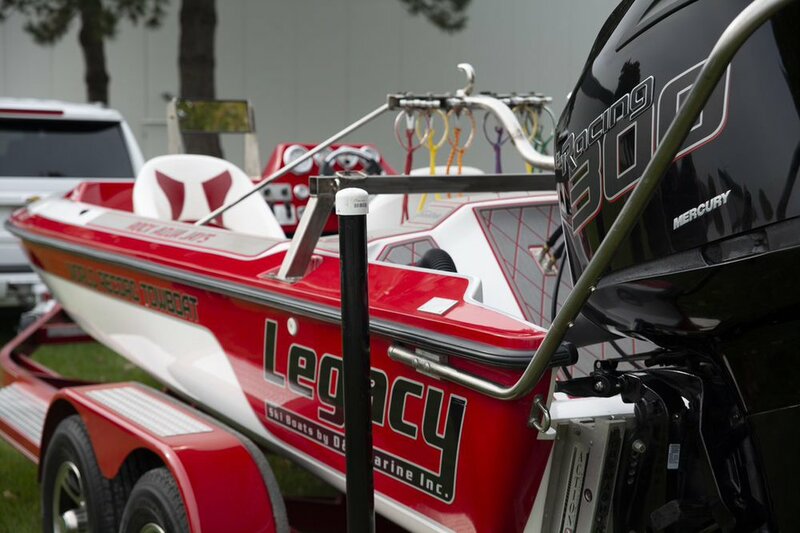 The Rock Aqua Jays, founded in 1961, have won 20 national water-skiing titles since 1975. 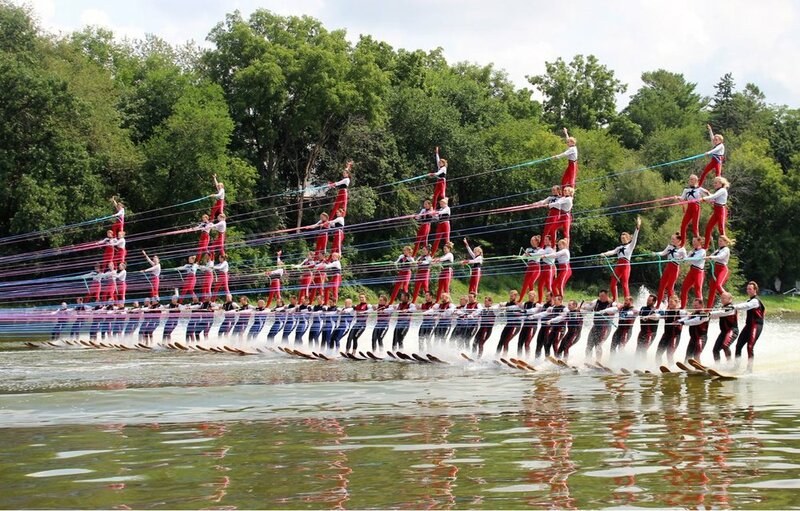 They annually perform ski shows on the Rock River twice weekly from Memorial Day weekend through Labor Day weekend. Their shows provide a platform for teaching members and the public about safe boating and water-skiing techniques. They were the first amateur team to build three-tier, four-tier and five-tier pyramids.